You’ve probably heard of Foursquare, the biggest location-based social networking site for mobile devices. Users check in at locations such as stores and restaurants, and earn points for free products or services. More and more businesses are realizing that location-based social networking is a huge marketing opportunity that can bring customers to their doors. And now with Facebook getting in on the location-based game, the phenomenon is sure to explode. Location-based marketing has incredible growth potential as more and more consumers get smartphones and rely more heavily on their phones for daily tasks. So what do you need to know about the newest option, Facebook Places? “Facebook Places, like Foursquare, is all about local loyalty programs and check-in mania,” says Ben Fisher, co-founder of imSMB, a Web site development company for small businesses. “Check-ins are used by more and more influencers to share where they are and opinions on what they like.” Getting started with a Facebook Places page will add another layer of social media responsibilities to your already busy schedule, but you need to do it, because you can bet your bottom dollar your competitors will. Here are Fisher’s tips on how to get started using Facebook Places to enhance your small business and drive more customer interaction. 1. Create your business Facebook Fan Page. 2. Connect your Places page to your Fan Page. To connect your Places page, you first need to make the place and check in. If someone has not checked in or created your Places address, you will need to do this yourself. 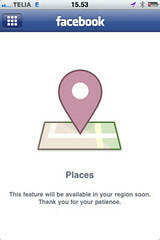 You can do this via Facebook’s mobile page (Facebook touch mobile site) or from the Facebook iPhone mobile application. Click “check in” on either app and then choose your current location. If you do not see your business, click the + sign or ADD and enter the name and description of your business. Then simply check in. 3. Log in to Facebook.com and visit your Facebook Pages Wall. You should see the “check in” you just did on Places. Click the link to your Places page and look for the “Is this your business?” link at the bottom of the page. Click the link and start the process of verifying your business. 4. To verify your business, you will need to either submit paperwork proving you are legally connected to your physical address listed on the Facebook page, or verify your business over the phone. After verification, your place and page will be linked together, and then visitors can “like” and check in at your place as well as view an activity stream of people who are checking in at your place. Once your place and page are completed, you will need to curate and update them on a regular basis. Encourage your customers to check in and share their experiences, offer specials to customers who check in on your Places page, and be creative. It’s free marketing, so take advantage of it! Founder, Business Credit Services, Inc.